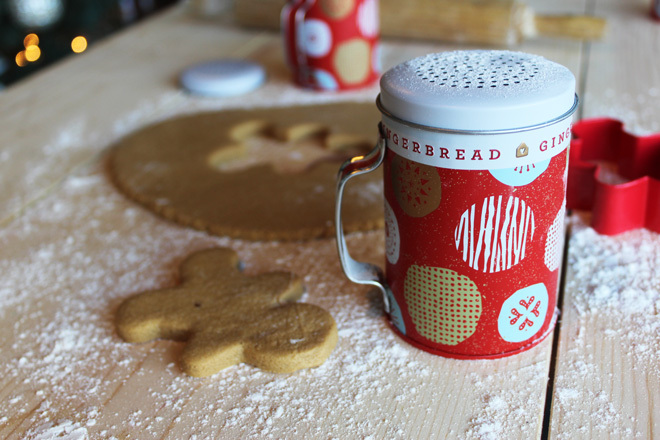 This year we’ve added some products with charming, reusable containers into our Gingerbread Collection – perfect for sifting, rolling and frosting your own delectable treats. 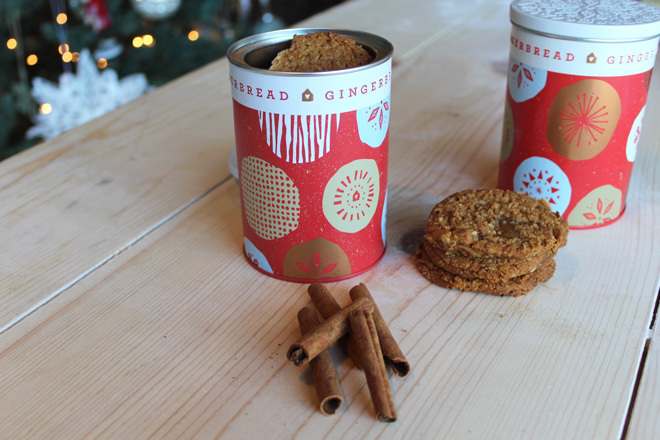 Here are some tips & tricks from our Visual Coordinator & baking extraordinaire, Claire, on the tastiest and cutest ways to reuse your Thymes Gingerbread containers once you’ve finished enjoying your candle! Make personal-sized tarts for a sweet tooth fix or mini desserts for party guests. Line with pastry dough to form to the shape of the inside and fill with fruit filling, chocolate or anything you like. Trick: Chill the dough before forming to the tart to keep it from sticking! 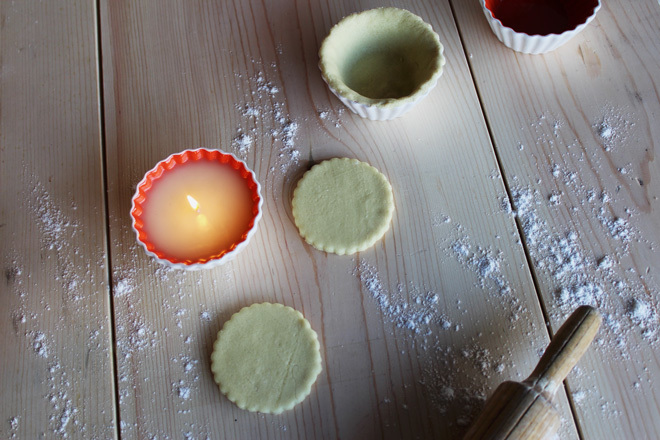 Turn this handled candle vessel into the perfect baking sidekick to sift flour onto your surface for rolling. Tip: Sift the dry ingredients together when baking instead of mixing, it really does make a difference in the texture! Have a charming holder for your measuring cups or have your baking ingredients out and ready to go in this gorgeous ceramic reusable container. Tip: Keep the sealed lid from the candle on to keep stored ingredients fresh! 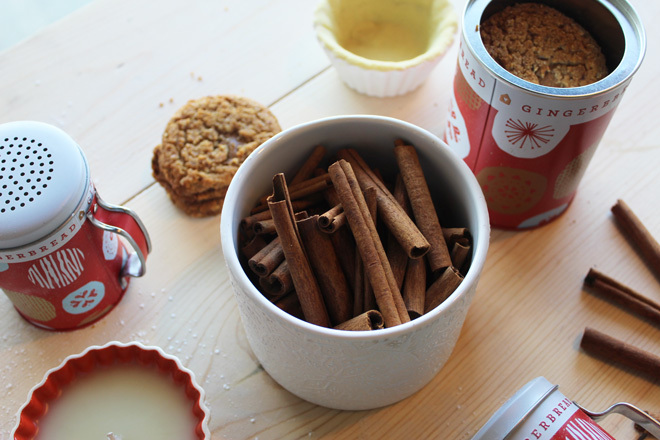 Once you’ve made your baked treats, you can use this candle tin as an adorable cookie holder for your home or to gift baked treats to loved ones. Trick: Rotate cookie sheets while baking, to ensure a more even bake. 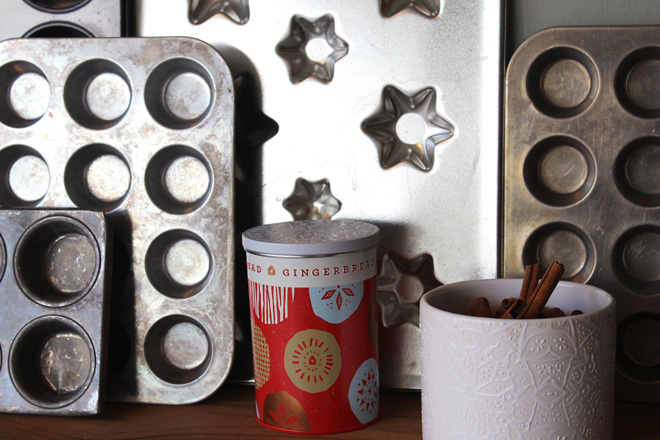 After you've made your sweets & treats, remember that Gingerbread is at home in any baking-lover's kitchen. The fragrance is the perfect addition to any kitchen and creates a warm, inviting ambiance. The vessels make a fabulous addition to shelves, tops of cupboards, and more! Display with your cutest baking trays for a display that is sure to please!